It’s no secret that Senator Bernie Sanders (I-VT) gave former Secretary of State Hillary Clinton a run for her money for the Democratic Presidential nomination in the 2016 race. Sanders created a movement that only became stronger with his continued revolutionary push for free college education and healthcare for all Americans, along with his mission to move the Democratic Party to the left, recreate the middle class, tax the rich fairly, and make sure that the American dream is accessible to all. 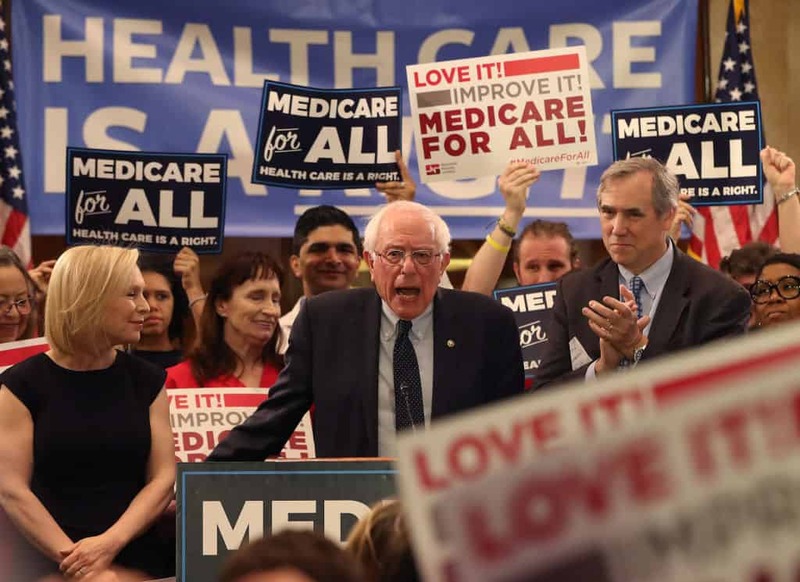 Now, Bernie is back for the 2020 presidential race, this time in a crowded field with candidates who have a singular mission: To make Donald Trump a one-term president. With such a huge field, candidates have to stand out, and apparently Bernie Sanders is doing just that. The Presidential hopeful has surged to one million independent, grassroots donations as of April 12, 2019. It has been less than two months since Senator Sanders announced his candidacy, and already he is dominating the field. It is clear from these numbers that, once again, Senator Sanders is going to give a lot of Democratic presidential candidates a run for their money for the nomination his followers believe he deserved in 2016. With the creation of Our Revolution, along with these numbers, it is clear that the 2016 dreams of Sanders supporters are far giving up on their candidate.